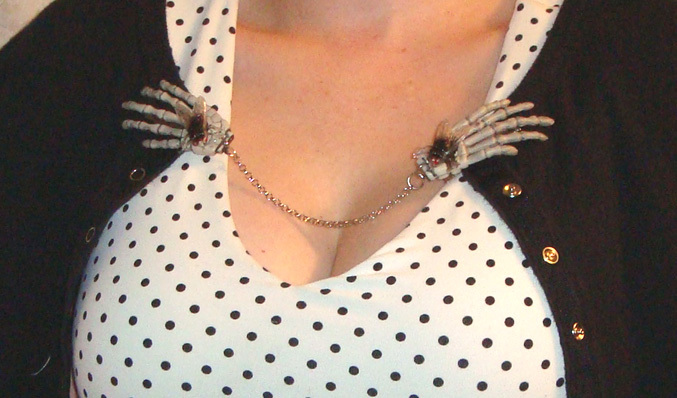 Spooky sweater chains. 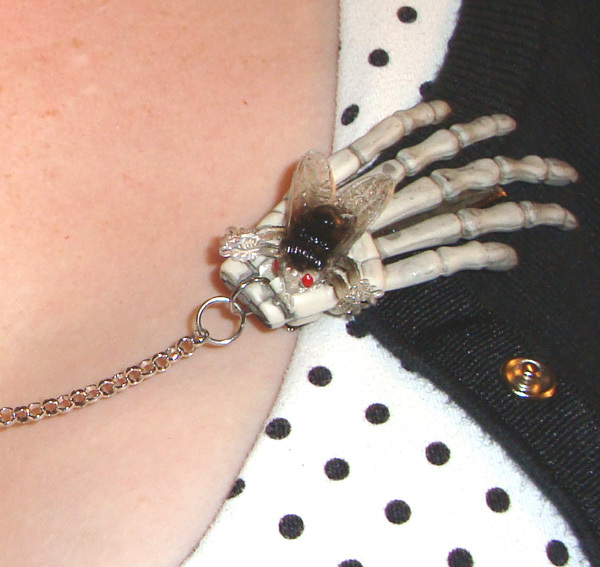 Skeleton hand clips grasp your sweater at each side with silvertone metal chain. Topped with flies or bows. 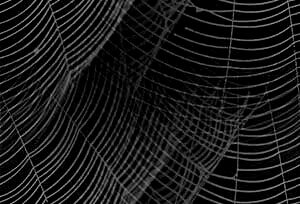 Just e-mail me with your choice.